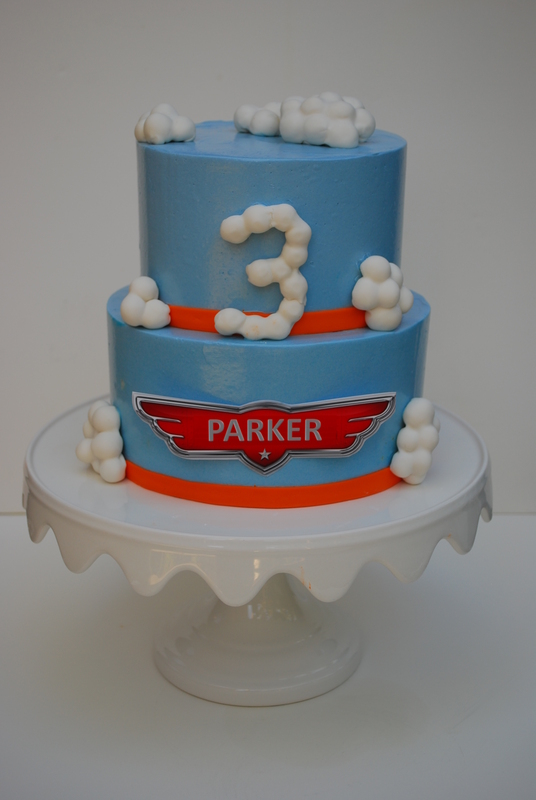 Some clouds in the sky for a very special little “pilot” client. I have been baking his birthday cakes for the past 3 years. I made this cake with all my love to this family that is so close to my heart. I realized that this is going to be the last cake I will make for him! It makes it so bittersweet! I wished they wouldn’t have to move so far away so I could keep making my cakes and celebrating with them all our victories together. Unfortunately life has other plans to us and I will miss them tremendously! It is a white cake with chocolate ganache and covered in a swiss buttercream frosting.